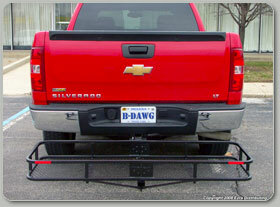 Introducing the B-Dawg® Herbee and St. Bernard, the ultimate solutions for hauling your cargo. 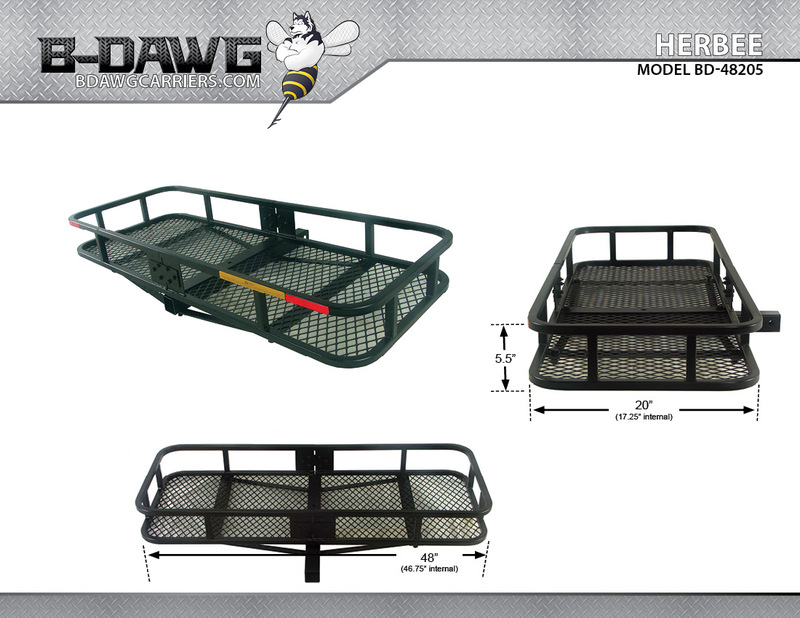 Measuring 48" x 20" x 5.5", the Herbee will handle most of your carrying needs while the W I D E St. Bernard at 60" wide will carry even your bulkiest cargo. 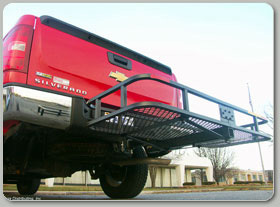 Durable high rails hold the most cargo in the most configurations. 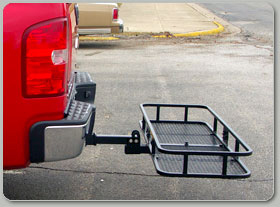 Fits quickly and securely into any 2" hitch receiver. 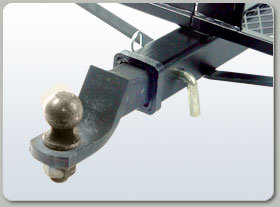 Secures with your hitch pin. 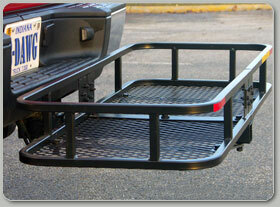 5.5" Steel Rails with ample locations for bungees and straps makes securing your cargo a breeze. 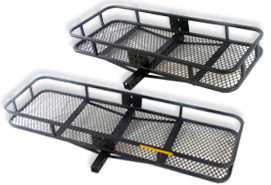 Steel mesh bottoms for easy cleaning and retro-reflective decals for added safety. The B-Dawg Herbee carries a lot of cargo for such a small carrier. 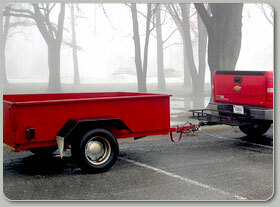 Measuring in at 48" x 20" x 5.5", the B-Dawg Herbee is the perfect solution for hauling taller cargo which requires the added stability of a rail. The B-Dawg St. Bernard is the ultimate B-Dawg carrier. 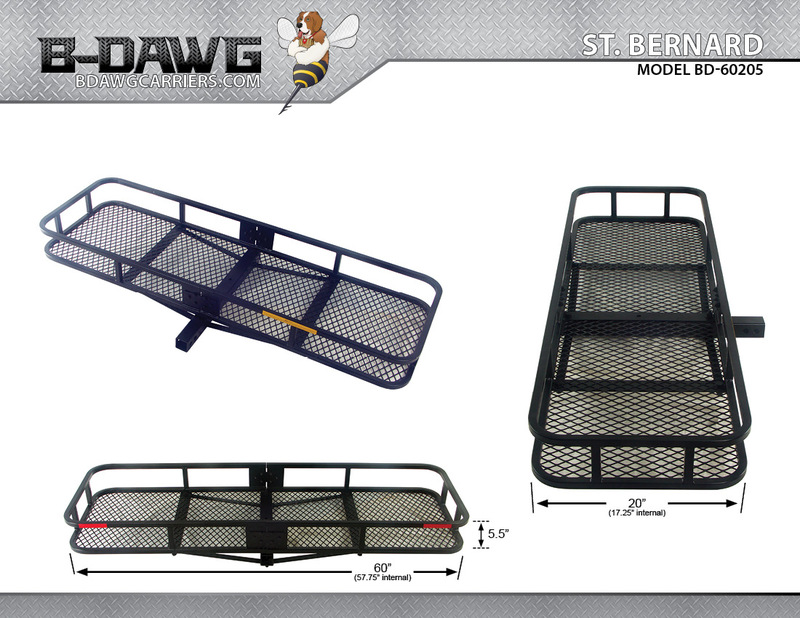 Measuring in at 60" x 20" x 5.5", the B-Dawg St. Bernard is wide enough to carry even the bulkiest of items. It's the perfect solution for anything you need to carry. The B-Dawg Folding Herbee is everything you love about the B-Dawg Herbee with the added convenience of folding to an upright position when not in use. The folding is accomplished via an additional connection to the main tube. When the carrier is in the upright position it makes parking a breeze! The B-Dawg Folding St. Bernard is everything you love about the B-Dawg St. Bernard with the added convenience of folding to an upright position when not in use. The folding is accomplished via an additional connection to the main tube. When the carrier is in the upright position it makes parking a breeze!